Rhino products in Australia & New Zealand have now been re-branded as 3M™ products. 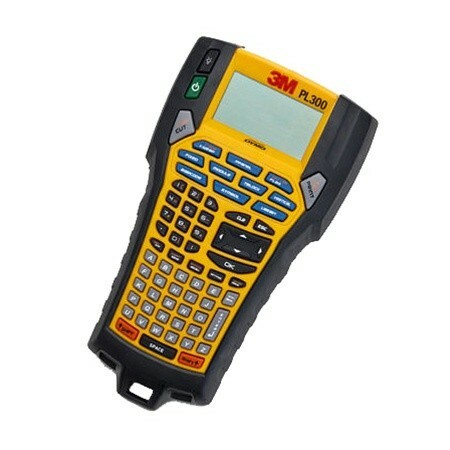 There's a 3M™ Portable Label Printer suitable for DIY jobs through to professional industrial applications. 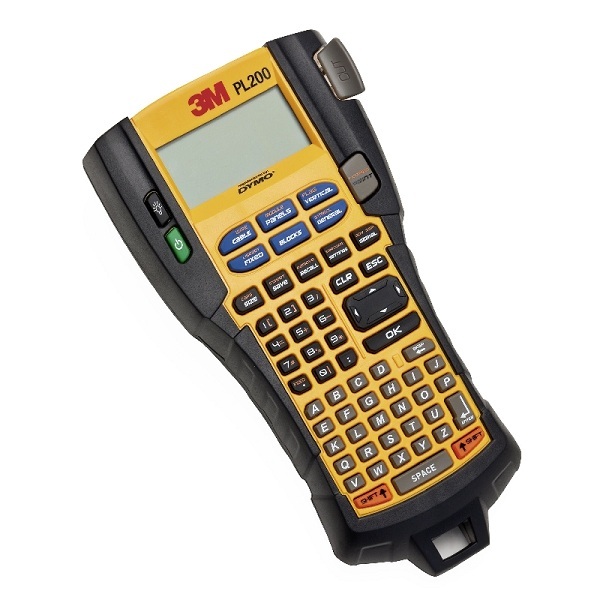 The 3M™ Portable Labeller PL200 (formerly RhinoPRO 5200) is the advanced, easy-to-use labelling system ideal for industrial applications. Rugged, powerful and lightweight - Large two-line display - Backlit for poorly-lit installations. Exclusive one-touch hot keys and industry symbols for quick label formatting. Saves more than 100 customised labels for on-demand printing at the job site. Box contains PL200 Labeller, User Guide on CD, Quick Reference Guide and 1 x 19 mm Black on White Nylon tape. The 3M™ Portable PL300 (RHINO™ 6000) is the first printer in the RHINO™ product family to offer PC connectivity. Intuitive graphical interface lets you create, edit and preview multiple labels on our largest backlit LCD display. Exclusive one-touch hot keys and industry symbols for quick label formatting - 1 MB memory: stores 1,000+ custom labels. Utilising the optional Labeller software, the installer can create labels before reaching the work site or create and edit labels on-site. Box contains PL300 Labeller, Mains Adaptor, User Guide on CD, Quick Reference Guide and 1 x 19 mm Black on White Vinyl tape. Kit contains Rugged hard carry case, PL200 Labeller, User Guide on CD, Quick Reference Guide, Mains power supply, Rechargeable Lithium-ion Battery and 1 x 19 mm Black on White Nylon tape and 1 x 12 mm Black on White Vinyl tape. 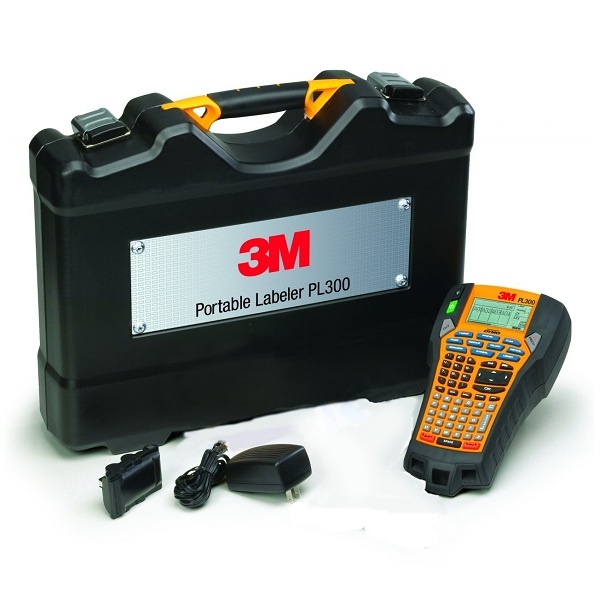 Kit version of the 3M™ Portable Labeller PL300 (RHINO™ 6000) with PC connectivity. Utilising the included Labeller software, the installer can create labels before reaching the work site or create and edit labels on-site. Kit contains Rugged hard card case, PL300 Labeller, 3M Labeller Software, Mains Adaptor, User Guide on CD, Quick Reference Guide, 1 x 19 mm Black on White Vinyl tape and 1 x 12 mm Black on White Polyester tape.